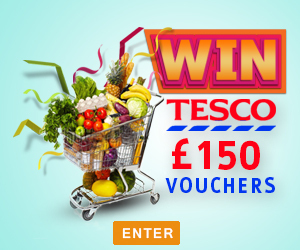 Winnersville are giving you the chance to win £150 to spend in your local Tesco store. We all know that ‘every little helps’…..and Tesco offer a great range of products for you to spend your winnings on. So for your chance to win this great prize enter now for free!